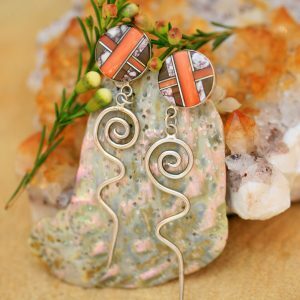 This beautiful heart brooch is set with hand cut and polished natural green turquoise exquisitely mounted in a sterling silver setting handmade by Harvey Chavez of the Kewa tribe. This heart brooch measures 3.7cm. It has a horizontal pin fastening and is signed on the back with the makers mark. 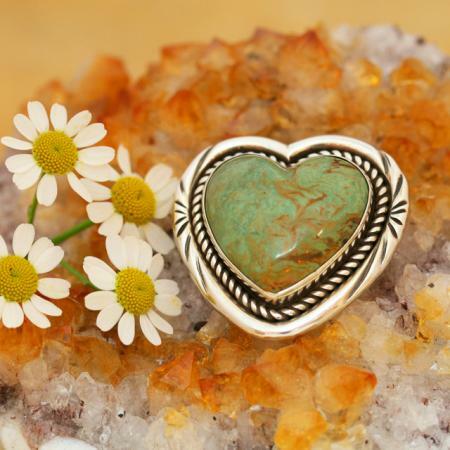 This beautiful turquoise heart brooch is set with hand cut and polished natural green turquoise, exquisitely mounted in a sterling silver setting handmade by Harvey Chavez of the Kewa tribe, also known by the Spanish name of Santo Domingo Pueblo, in northern New Mexico, USA. This turquoise heart brooch measures 3.7cm. It has a horizontal pin fastening and is signed on the back with the makers mark. Harvey Chavez is committed to practising the techniques learned from his parents, grandparents and great grandparents. He has passed these skills to his children and grandchildren in the hope that this knowledge will survive into future generations. 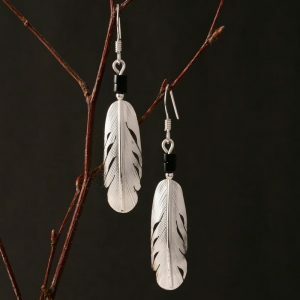 In addition to his lapidary work Harvey Chavez makes exquisite feather jewellery, each feather is entirely handmade, formed from sterling silver, each one unique in size, shape and detail. 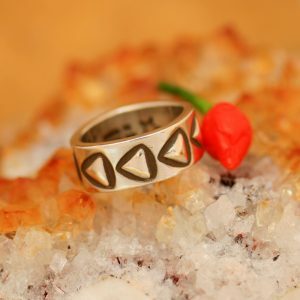 The Chavez family have been making jewellery for Rainmaker Gallery for twenty five years. We are honoured to bring you the work of this talented family.